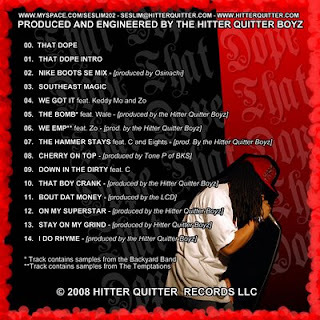 Arguably one of the best projects put on the underground market in 2008. The mix disk is aptly named THAT DOPE. This disk Dropped April 17th 2008. Southeast made THAT DOPE first; REMEMBER DAT. Download it here http://www.sendspace.com/file/qhbxve .